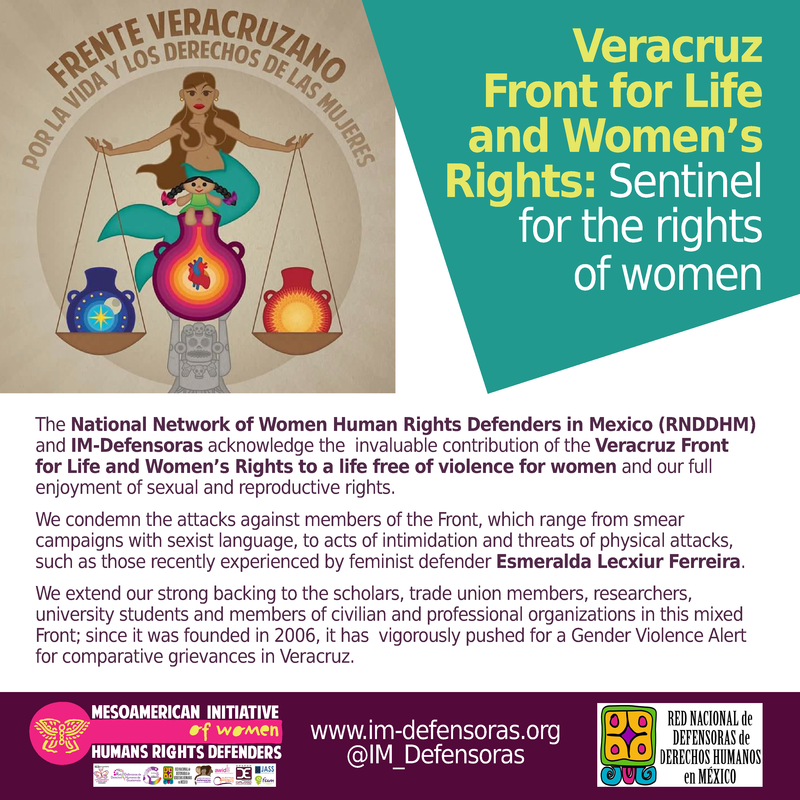 The National Network of Women Human Rights Defenders in Mexico (RNDDHM) and IM-Defensoras acknowledge the invaluable contribution of the Veracruz Front for Life and Women’s Rights to a life free of violence for women and our full enjoyment of sexual and reproductive rights. We condemn the attacks against members of the Front, which range from smear campaigns with sexist language, to acts of intimidation and threats of physical attacks, such as those recently experienced by feminist defender Esmeralda Lecxiur Ferreira. 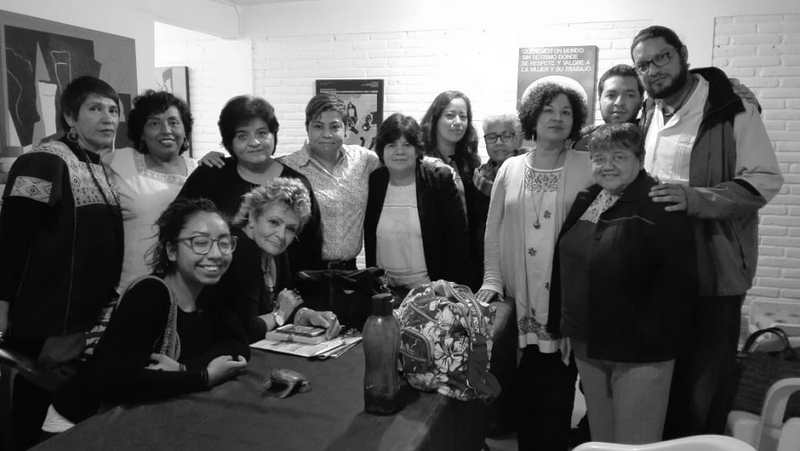 We extend our strong backing to the scholars, trade union members, researchers, university students and members of civilian and professional organizations in this mixed Front; since it was founded in 2006, it has vigorously pushed for a Gender Violence Alert for comparative grievances in Veracruz.